There just can’t be enough confusion about exposure. Every time I thought I understood one thing about it, I discovered another puzzle. But this post is not about what exposure is. It’s about how to control the exposure. If you want you can go ahead and read the article on what exposure is. 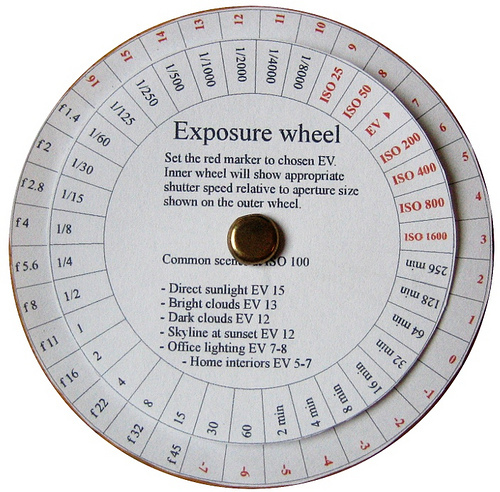 Now as we all understand about the exposure triangle, exposure rests on three main pillars viz. the aperture, the shutter speed and the ISO. Each has an incremental or decremental effect on the exposure. Varying each one of these thus allows you to control the exposure. So change over to shutter-priority mode or aperture-priority mode and you’re in control. Right? Wrong. Welcome to the world of cameras where practice is different than theory. Cameras have evolved into intelligent machine which are too intelligent for their own good. 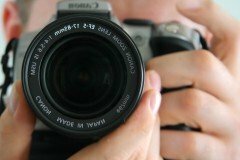 Why You Can’t Control Exposure With the Semi-Auto Modes? Semi-auto modes like shutter-priority and aperture priority modes are great. You can take over the control of the shutter or the aperture from the camera to get the desired effect. But in the background, the exposure is still being set by the camera. In shutter-priority when you control the shutter-speed, the camera silently adjusts the aperture to compensate for the change in exposure. It thus tries to help you to avoid getting over-exposed or under-exposed image. In the aperture priority the camera silently alters the shutter-speed to compensate for exposure. So all this while you thought you were controlling exposure, you were either controlling the motion-effects or the DOF effect. And these semi-auto modes are in fact meant to be used to control these effects and not the exposure. So how do you control it? Let’s say you want to get the exposure a little darker or brighter, how do you really change it? The exposure compensation button is the gift of technology to exposure freaks. As I said in a previous article, there’s no right exposure; it’s the optimal exposure what you seek and depends from person to person and scene to scene. So without worrying too much about anything you can make use of the exposure compensation button (if you dislike the camera’s exposure) and override the default metering to get darker or brighter photographs. The exposure compensation silently tells the camera to meter for some extra brightness or darkness. So if you set the exposure compensation to -.3 or -.7 or +1 etc, the final results will be 1/3 EV or 2/3 EV darker or 1 EV brighter respectively. That’s the first way to tune the exposure. Or you can set the camera to full manual mode (the “M” mode on the camera modes dial). This tells camera to stop metering the exposure and now you – the photographer is in control of the exposure. Now remember ISO? That too has to be taken care of and in some cameras you have to manually go into the menus to turn off “Auto ISO” else the camera still plays gimmicks. When you are controlling exposure in fully manual mode, you have to be an expert at exposure calculation or you must use an external, hand-held light meter like Gossen Digisix (ultra compact digital & analog light meter) or Sekonic L-398A Studio Deluxe III Light Meter. The professional photographers always have a light-meter and they not only use it to calculate the exposure but the highlight and shadow areas as well as the dynamic range of the scene. Check out my other article on how to use hand-held light meters. And finally, if you are just too bothered by the exposure jargon, you can do away with it by using bracketing. 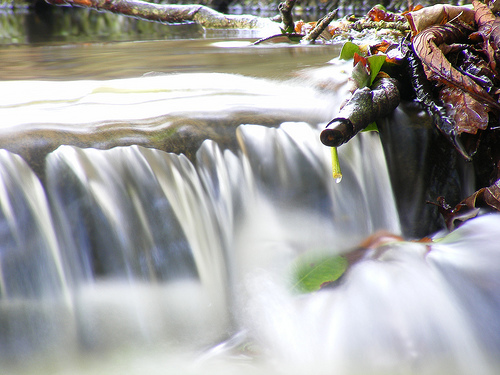 Bracketing allows you to take three shots of the same scene. And all these different shots of the same scene are shot at different exposures: one normal, the other one darker and the last one brighter. Depending on your camera you can change more settings like the number of shots and the exposure difference between these shots. And once you have all the photographs, you can come back to your computer to pick and choose the ones you like and do away with the others. Bracketing can be tricky and can set off the photos if you miss one of the captures midway or forget to turn it off. Ok. This may not be the last but should be the last way to alter the exposure. If you have already captured the shots post-processing comes to your help. All photo editors allow you to fix the levels and exposure in photographs. This at times can give you unnatural results as correcting light in the post-processing phase is difficult and minimal. Some photo-editors try to automatically correct the color cast too which can ruin the colors in the shot. It’s thus important to know, get used to and master one photo-editor which you are comfortable with and allows you a lot of flexibility and control. I actually came across a forum where the members were discussing controlling the exposure with the aperture-priority mode and shutter-priority mode. This necessitated to explore the topic a little more and perhaps cover it in a dedicated article. One of my cameras – the Nikon D80 gives me results too bright for my taste. Shooting indoors with it is perfect but when shooting in daylight I like to set it off by -0.7 EV to get enhanced contrast and saturated colors. How do you control the exposure? I’ve always used manual settings. I use the metering system in the camera as a starting point and work from there. It’s important to know your equipment if you work this way. Maybe I’m just old school.